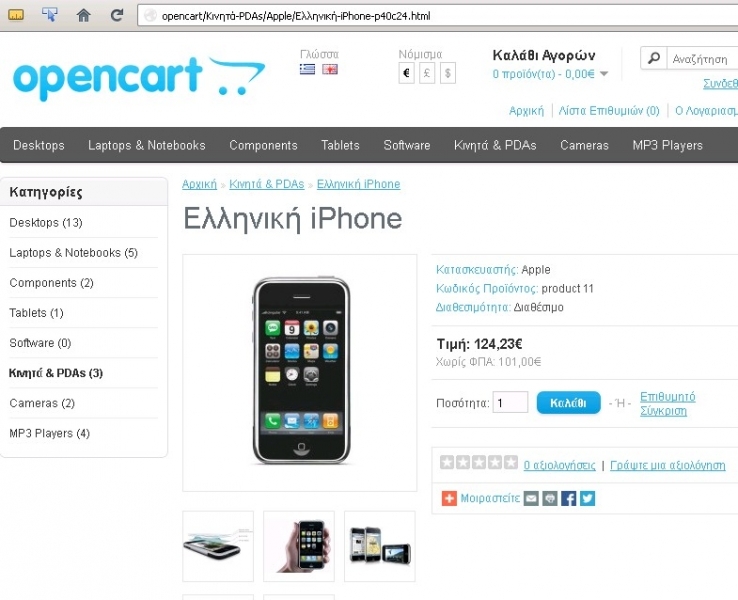 Optimize your OpenCart store for SEO by having also the product, category and manufacturer keywords in Greek in your URLs. This extension is using vQmod, you will not have to change any core files from OpenCart and the URLs are created automatically. This extension is also compatible with any other language.